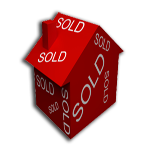 We want what you want: to sell your home quickly, and for a good price. We’ve been around long enough to know that the novelty of living in a beautifully staged, ‘ready to show’ house wears off quickly, especially if you have children or pets. We will evaluate your home, and help you set the right price. Correct pricing is the cornerstone of attracting genuine buyers, helping to move your property more quickly. We will follow your lead. It’s our job to strategically market your property to attract interested parties. From there, you get to evaluate the offers and choose what’s best for you. We will look after the details. There’s more than meets the eye to a typical home sale; count on our experience to help ensure nothing is missed, and that you have the smoothest transaction possible.